hd00:22Close-up of business woman hands with smartwatch typing on laptop keyboard in the office. Working process. Data input. 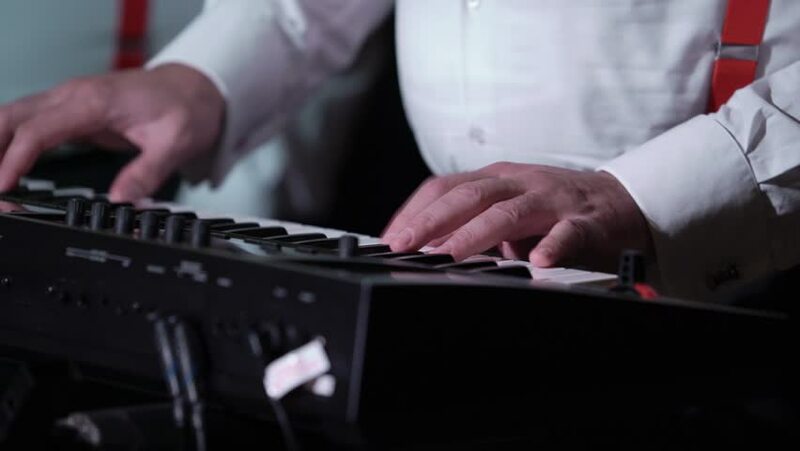 4k00:07 Close-up picture of music artists hands playing on electronic keyboard and pressing pads on a control desk.